This elegant, jeweled snowflake ornament stands three inches tall. As rich looking as treasures in a jewelry store window, friends will think you bought them at the finest gift shop. step 1 - Cut a one inch square of plastic mesh which will roughly be 9 holes. Be sure there are as many squares vertically as there are horizontally. This piece will be the foundation for the snowflake center and will be trimmed later. step 2 - Cut two pieces of wire 4.5" long. Cut 2 more pieces of wire 3.5" long. step 3 - Using the round nose pliers, turn one end of each wire to create a small eye or loop on all 4 pieces. step 4 - Thread beads on one of the 4.5" wire as follows: clear bead, small pearl, large pearl, small pearl, clear bead. step 5 - Thread the remainder of that wire horizontally through the mesh, going into the hole left of center, skipping the center, then coming out the hole right of center. Curve the mesh slightly to help thread the wire without bending it. step 6 - Thread beads onto the rest of the wire in the reverse order detailed in step #4. Follow the last clear bead with a loop or eye. step 7 - With another 4.5" piece of wire, follow steps #4 - #6. You will now have the horizontal and vertical stems of your snowflake. Don't worry if they seem slightly crooked, you will have the opportunity to fix them later. step 8 - Create the remaining two diagonal stems as you did the horizontal and vertical ones, this time threading the beads in this order: clear bead, small pearl, clear bead, small pearl, clear bead. Thread wire through the mesh on the diagonal and slip on the rest of the beads in the same order. step 9 - Cut away excess mesh with small sharp scissors once all the stems are in place. Be sure you don't cut away any mush supporting the wire. 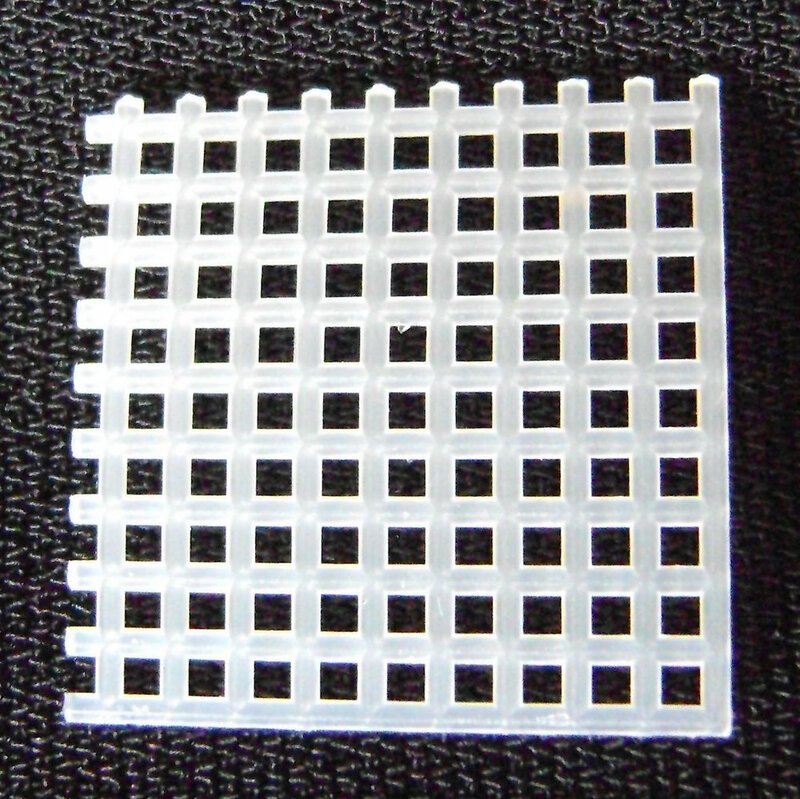 step 10 - Place a glob of E6000 or other jewelry glue in the center mesh area to secure the mesh and wires. Center4 small pearls or a large rhinestone over the center glue. When the glue has dried, add your choice of pearls or a rhinestone to the center back side of the snowflake. step - 11 With the glue and mesh dry and firmly in place, gently bend the stems of the snowflake to straighten them if necessary.